Unit4 is a global business software vendor focused on business and professional services, the public sector and higher education. Recently company executives met with industry analysts to provide an update of its strategic roadmap and to recap its accomplishments since being acquired by a private equity firm in 2014. Unit4 is the result of successive mergers of ERP and business software companies, notably CODA and Agresso. The company is also a part-owner (with salesforce.com and others) of independently run FinancialForce, which sells a cloud-based ERP system built on the Force.com platform. IBM’s Vision user conference brings together customers who use its software for financial and sales performance management (FPM and SPM, respectively) as well as governance, risk management and compliance (GRC). 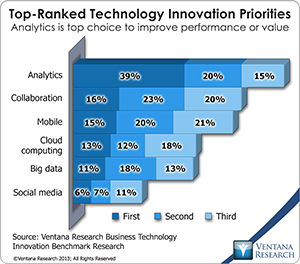 Analytics is a technology that can enhance each of these activities. The recent conference and many of its sessions highlighted IBM’s growing emphasis on making more sophisticated analytics easier to use by – and therefore more useful to – general business users and their organizations. The shift is important because the IT industry has spent a quarter of a century trying to make enterprise reporting (that is, descriptive analytics) suitable for an average individual to use with limited training. Today the market for reporting, dashboards and performance management software is saturated and largely a commodity, so the software industry – and IBM in particular – is turning its attention to the next frontier: predictive and prescriptive analytics. 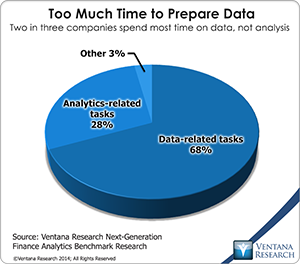 Prescriptive analytics holds particular promise for IBM’s analytics portfolio. 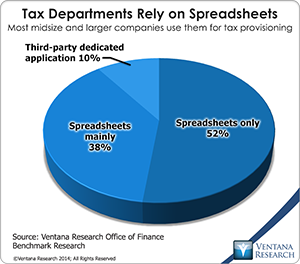 Companies trust their tax departments with a highly sensitive and essential task. Direct (income) taxes usually are the second largest corporate expense, after salaries and wages. Failure to understand and manage this liability is expensive, whether because taxes are overpaid or because of fines and interest levied for underpayment. Moreover, taxes are a political issue, and corporations – especially larger ones – must be mindful of the reputational implications of their tax liabilities.